We are excited to introduce our Point Toe option in wonderful textured suede with colors that are perfect for the fall, or anytime of the year. 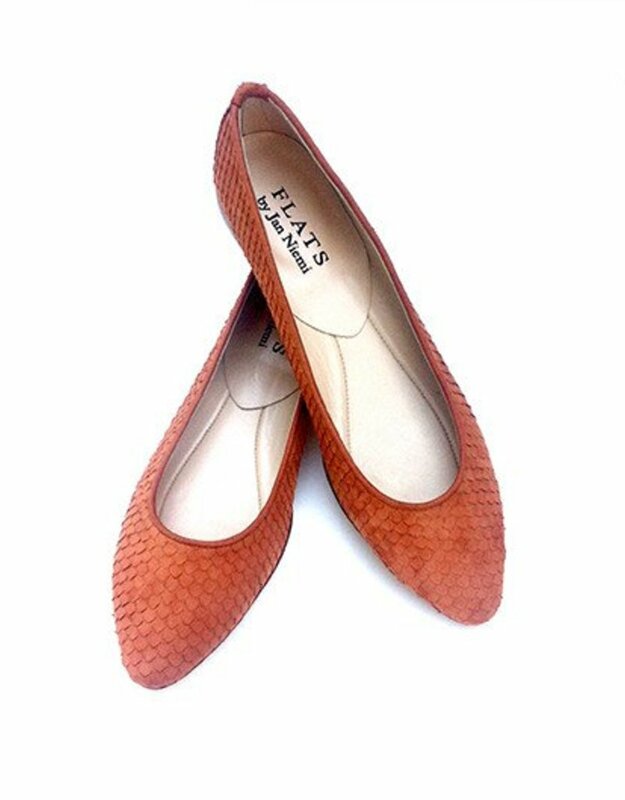 The new flats are designed with a flexible sole, small heel, and require little to no breaking in. Handcrafted in Italy with the finest Italian leathers. 100% leather soles and lining. Suede with texture treatment. Point Toe Ballerina. These shoes run slightly large. Please see sizing chart. If you have never tried them on before please call for assistance in sizing.